This popular card game is a version of the classic Blackjack, but it’s even better because in this one, you can play with three stacks on the field to potentially triple your score! 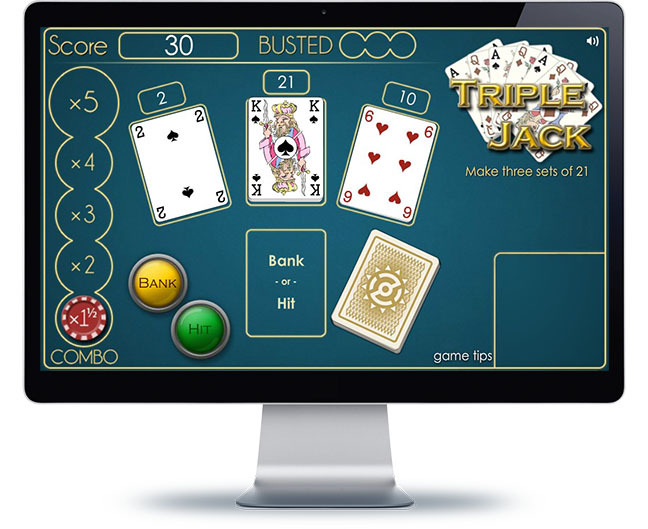 Your goal is to reach a sum of 21 in each stack and try for a Black or Triple Jack. Be careful not to go over 21--otherwise you will get busted and the game might end if it happens three times! Are you up for the challenge? All face cards are worth 10, and an Ace could be worth either 1 or 11. You need to add the cards in the stack to sum up 21. If you bank the cards when you have 21 in every stack at the same time, you will get the Triple Jack! Also, if you go over 21 you will get busted, so be careful! If you get busted three times, the game will end.